The final results of the environmental and socio-economic assessment of demEAUmed project were presented during the event by LEITAT. Many participating researchers from different scientific communities were interested in the outcomes of the LCA analysis of the project! 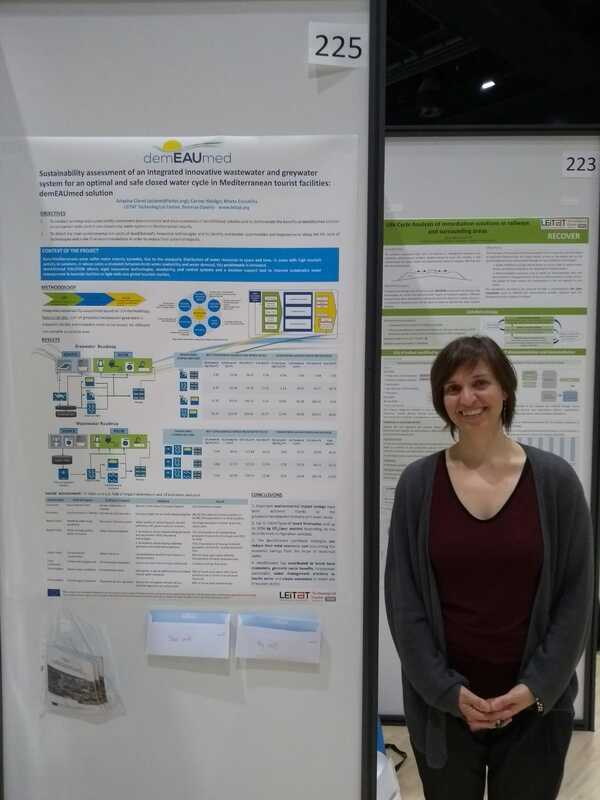 Check out the poster which was presented during the event on the sustainability assessment of demEAUmed solution! An integrated assessment including the environmental and socio-economic impacts of the innovative technological solution developed in demEAUmed project has been undertaken by consortium partners under the leadership of the Sustainability Division of LEITAT. The assessment analyses demEAUmed technologies in terms of environmental impacts (e.g. carbon footprint, water scarcity, energy demand, pollutant removal eco-efficiency) in order to provide environmental improvement measures and indications of their applicability in real case scenarios as well as the cost. Two different water cycles have been studied: greywater line and wastewater line (combining greywater with blackwater from the toilets and kitchen water). 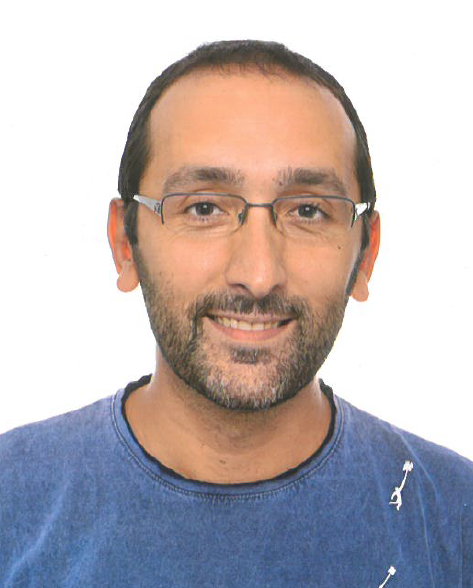 In addition, social impacts and the perception of demEAUmed project on society have been assessed. 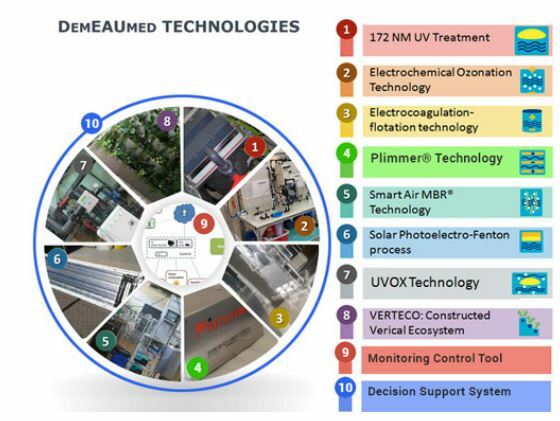 The following images and tables summarizes the environmental impacts and cost of the different configurations demonstrated under demEAUmed project. 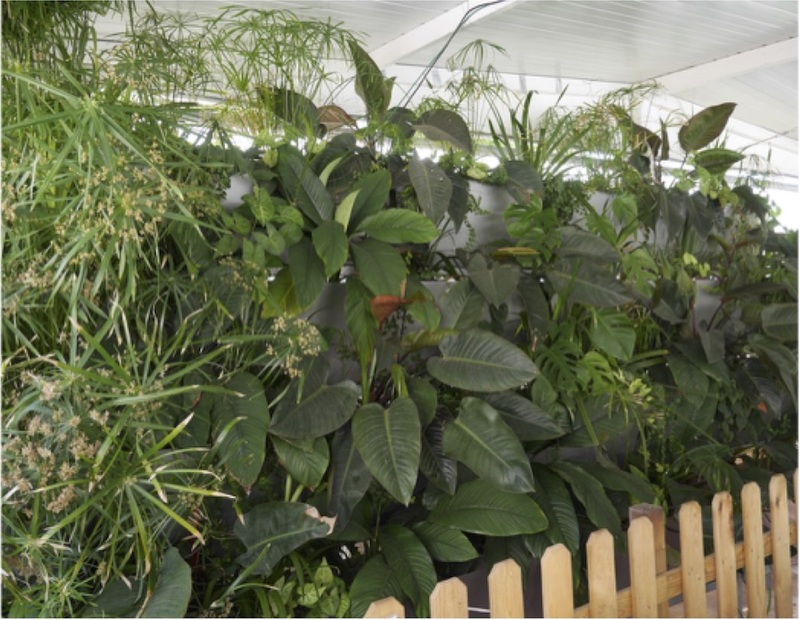 The cooperation among demEAUmed partners has been proven to be very fruitful, not only in terms of sharing best practices and the integration of the 8 technologies within the demonstration site at Samba hotel, but beyond that. To this end, the spin-off company blue carex phytotechnologies GmbH has been established. Principal among these innovations is the building integrated vertical ecosystem, which we call vertECO®, which was optimised and validated during the course of demEAUmed project. This spin-off will also include UVOX technologies (from WAPURE International) and Radtke Biotechnik consultancy services in its portfolio of products it intends to commercialize in selected European markets, with a focus on Mediterranean countries. Complimentary technologies from Idropan Dell’Orto Depuratori, like Plimmer or Ozone sterilisation, will also be part of the offered solution portfolio. demEAUmed policy brief is out! demEAUmed 2nd newsletter is out!